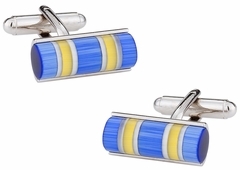 Do you have a family member in the military that is deployed? 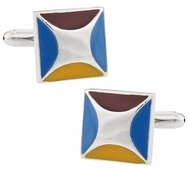 Perhaps you like to show your solidarity for military personnel? 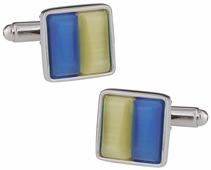 If you have a very patriotic heart, you can wear it on your sleeve with the yellow ribbon set. 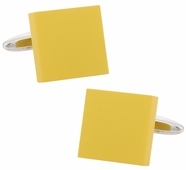 This beautiful yellow set is designed like the yellow ribbons you can put on your car, wear on your shirt, or carry around with you. 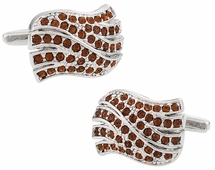 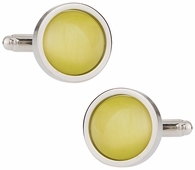 You have just made it even better by ensuring the permanence of your choice with a silver stud. 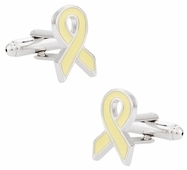 These yellow ribbon cufflinks make great gifts for those who have military members in their family or group of friends. 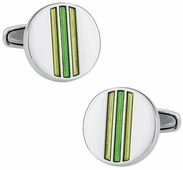 Besides these amazing and wonderful designs from Cuff-daddy.com, you have other choices you might wish to gift or add to your personnel collection. 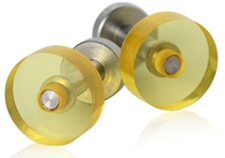 There is always something for everyone that shows their hobbies, likes or sense of fun. 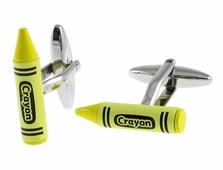 The yellow crayon set can be a simplistic pair of yellow or mix to become a full rainbow of color. 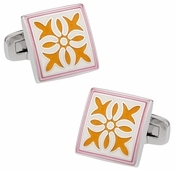 With the mix and match capability you can show your love for drawing, your children, or simply your childhood. 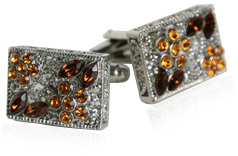 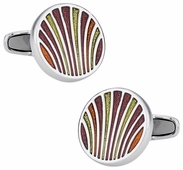 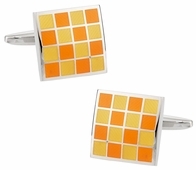 Whether your sense of style is poignant, fun or retro you can find a cufflink set to love. 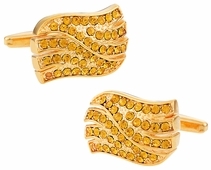 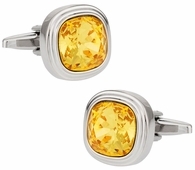 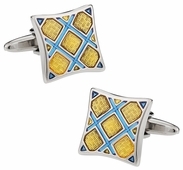 The designer enamel yellow cufflinks or yellow and blue glass might remind you of the 70s or earlier decades. 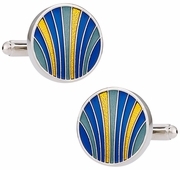 Perhaps you have a retro party coming up and want to have the perfect set of links to ensure you are not a pin out of place? 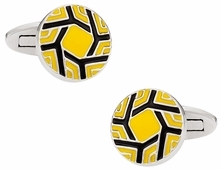 If so just look for the retro style and enjoy.